Botanical name: Hordeum Vulgare L.
BGLP is the most simple, prolific, comprehensive source of hundreds of vitamins, minerals, enzymes, chlorophyll and proteins. All of these micronutrients together appear to have restorative, anti-ageing and health promoting effects. They support the body in keeping it strong. Increased metabolism, more energy, a stronger immune system, improved circulation, healthier skin and lower blood pressure, to name a few. BGLP is available in bulk 25 kg bags, pottles or capsules. 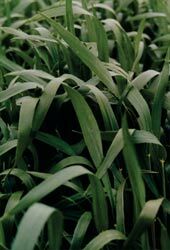 Botanical Name: Triticum aestivum L.
Wheat grass leaf powder is a rich source of vitamins A, C and K and provides other vitamins as well. It contains approximately 90 different minerals, and is more concentrated in iron than spinach. It averages 25% protein (more than meat, fish, eggs, beans or dairy products). 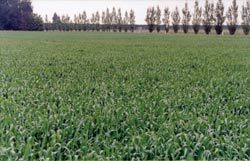 Wheat grass is also high in fibre. WGLP is available in bulk 25 kg bags, pottles or capsules. Studies have shown that echinacea prevents the formation of an enzyme hyaluronidase, which destroys the natural barrier between healthy tissue and unwanted pathogenic organisms. Therefore, echinacea helps the body maintain its line of defence against unwanted invaders, especially viruses. 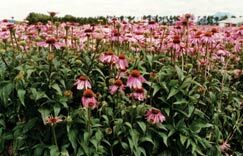 Enzol grows, dries, mills and packages Echinacea tops and roots. Echinacea is available in 100kg packs, or 25 kg bags.